Words can’t describe how AMAZING this coffee is! so smooth and wonderful. I would recommend it to anyone without a doubt. Truely a great cup of coffee!! Very consistent from one bag to the next….. Absolutely LOVE this coffee! I tried the Chocolate Cappucino medium roast this morning and fell in love. Try New England Coffee!! First time I have had this brand of coffee. I bought it last night at Publix Market in Cleveland, Tennessee. It is just one of the best cups of coffee I have ever had. I will be a regular customer of New England Coffee. I love this coffee. It is my all time favorite! I love the Breakfast Blend and Donut Shop as I like light-medium roast coffee. This coffee is so smooth and delicious. My daughter loves the Hazelnut Cream. No matter what you get you will not be disappointed. Once you try it you will be hooked!! My wife and I discovered this coffee when we visited Salem, MA. We loved it. Bought some to bring home and keep buying it. I have yet to find it’s equal. Breakfast Blend-WOW!!!! Have been buying this coffee for quite a few years. Found it by accident in a Burger King near Acadia in Maine more than 10 years ago. The best cup of coffee I have ever had. There is no other coffee in our house. Thanks so much for the best part of my day-New England Breakfast Blend in the morning! Would give it 10 stars if I could! Discovered New England Coffee in Pensacola, Florida several years ago and joined this website. Have an entire shelf in my pantry reserved for the various flavors. #1 is Hazelnut Creme followed closely by Irish Creme. Top ten include Swiss Chocolate Almond, Macadamia Nut, and Maple Nut (not sure of exact name, but it only comes out a couple of months a year – great). Have been ordering for a couple of years after finding it accidently online… I live in So. CA but am a born and bred Cape Coder with a New England heart.. I love this coffee and will keep ordering for ever.. Without a doubt my favorite coffee. Discovered the breakfast blend not too long ago and was hooked. Husband was hooked too, and he’s particular about his coffee! This is the best tasting coffee. I love it! Hi I just discovered your coffee a month ago and by far I love your coffees the best, better than any brand out there, roasted just right. love it especially the Vanilla, so yummy……………………..
Popular brand coffee’s miss by far the flavor of New England Breakfast Roast. Quality restaurants serve this type of coffee which I wasn’t able to find a duplicate until I tasted New England coffee. The flavor is rich but mild, not bitter. I’m not a coffee taster but this coffee has what I like; Flavor. Loveee this one! Its my favorite coffee to have! Sadly its getting harder to find in stores and I have to order a bunch online which can get annoying. Wish it was easier to find! 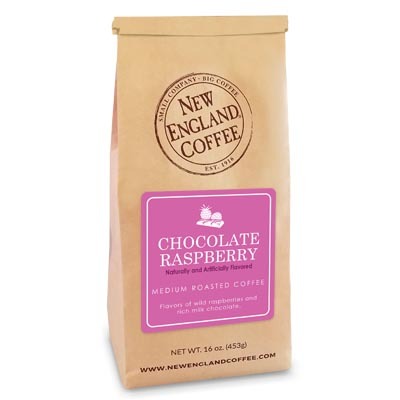 For the first time, I picked up a bag of New England coffee “Blueberry Cobler”. A little milk and sugar, and oh my God this coffee tastes just like blueberry pancakes!! Instant fan right here. I was in the store, and saw a bing that had 2 for 1 coffee. I saw different brands and then I saw New England coffee, tried and have now fallen in love with it. It tastes great. The best coffee I have ever tasted. THE BEST coffee I’ve ever had! I won’t drink any other coffee. I go back east every once in awhile to visit family and drink Breakfast Blend while visiting. Since I’m from New Mexico I am very lucky I get to purchase my coffee online. A little taste of home in a cup! 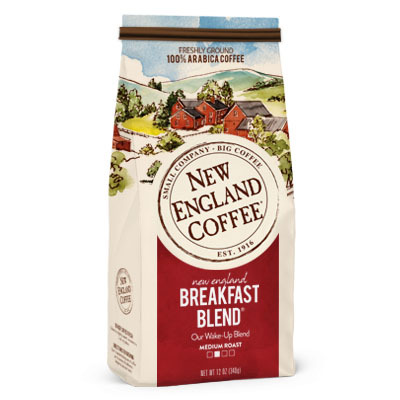 New England Breakfast Blend is really good coffee. I have had many favorites in the past, but this is as good as any of them. basis. Their decaff Breakfast Blend tastes great too!!! Hooked on this coffee! Found it when in Florida and now order online. Have many local roasters in my city, but none compare. Consistently good and never bitter. Love, love, love! Finally found a coffe I enjoy. Wished it was in the stores in the Midwest.